The 140-year history of chess in Rugby is one which is scattered with interesting stories and facts emphasising the qualities of chess that single this out as an enduring game played internationally. Chris Pegler, RCC Secretary likes to emphasise the equality that chess offers, the equipment is inexpensive, the rules are international and the appeal is multi-generational. Stories from the club’s history are drawn on here, aspects of its past that may surprise readers. These emphasise the club’s pedigree and its commitment to encouraging the next generation of chess talent in the area - hopefully ensuring that in the next century or so there will be further club success stories to relate. If you have stories to contribute to the historical records of the club or played for the club in the past please get in contact with Chris Pegler at rugbychessclub@gmail.com. If you would like to see the club’s historical display or play some chess against current members visit Rugby Art Gallery and Museum during their events this Saturday afternoon (February 16 from 1-4pm) in the 2nd floor education room. George Peck - RCC champion and the oldest competitive chess player in world: George Peck of Rugby Chess Club was a formidable chess player described at the oldest competitive chess player in the world and active in chess right up until his death. This occurred from pneumonia at age 97, following competition in the Hastings International Chess Congress in January 1966. Peck started playing at age eight in the North of England, moving several times before settling in Rugby after retirement as a civil servant. Competing at an international level congress was not unusual for Peck, even when elderly. At 96 he attracted praise during a winning run at Bognor Regis international chess congress. At 95 Peck was captain of Rugby Chess Club and he regularly won the Rugby Chess Club championship salver (1955, 1956, 1962 and 1965). In this last competition Peck was unplaced in the main afternoon ‘B’ tournament, scoring 3 out of a possible 9 points, to the winner’s 7. His last game was lost after 34 moves, a respectable performance. Rugby take on Russia - yes really! In 1982 Rugby Chess Club distinguished itself in chess not only by winning the Midlands Club Championship but also the National Championship, leading to an invitation to play a European Championship game in Moscow against Soviet championship club Burevestnik. Rugby had beaten a Cambridge University team in the National semi-final (3-2) and Oxford University in the finals (3.5:2.5). 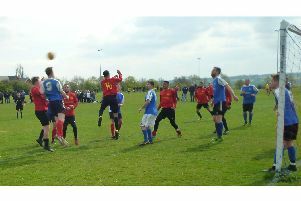 Commenting on the club’s success at the time Ralph Kerridge, Chairman said: “It was a great achievement on their part. At this time Rugby could call on some exceptionally strong players. This included International Masters Paul Littlewood and Mark Hebden and also Keith Arkell. (Hebden and Arkell went on to later become chess Grand Masters). Other strong players contributing to the win were Mike Kerridge (u21 British Champion at this time), John Turner, Nicolas Thomas, Phil Wade and Bob Wildig (current RCC President and the only team member still active in the club). The unexpected win left the club with a considerable fundraising task, spearheaded by Graham Lightfoot and it was not until October 1983 that the Rugby team reached Russia (players were Arkell, Thomas, Turner, Wade, Wildig and Talbot). They needed to cross into East Berlin via ‘Checkpoint Charlie’ and stayed in the patriotically named Hotel Sputnik whilst in Moscow. This was a formal occasion with the opening ceremony in the ‘Holy of Holies’ Moscow Central Chess Club, translators, demonstration boards, flags and ex-World Champion Vassily Smyslov in the audience. The home side was exceptionally strong, made up of players from all over Russia and Club Secretary Graham Lightfoot was fully occupied dealing with press interest whilst there so did not play. A report in the Rugby Advertiser at the time describes the experience as ‘rather overwhelming for the representatives of a small Midlands town playing the world’s strongest chess-playing nation in the place where its strength was greatest’. Accompanying Coventry Telegraph reporter Mike Kretzmer asked Keith Arkell what the odds of Rugby winning were. Arkell responded: “I’m not sure that numbers go that high”, but the team were still capable of some surprises. Over two days of matches the Rugby team won 1.5 points to Russia’s 10.5 with Arkell winning in 39 moves against Lev Psarkhis. Psarkhis was not only twice Soviet chess champion but ranked sixth in the world. He congratulated Arkell on the win but also promised to beat him the following day, which he duly did. Andrew Talbot, a Lawrence Sheriff Schoolboy of 15 won the 0.5 point when offered a draw on the second day by his opponent Valery Salov. What an experience this must have been for all the players and what a coup for Rugby. Junior tournaments and Junior chess: For many years Rugby Chess Club has had strong interest in fostering junior chess players. Ralph and Mary Kerridge organising a Rugby Schools Chess Championship event from the 1970s, an annual event for all children in the area. Interest in chess was at its height following the Fischer-Spassky match of 1972 and tournament entries on one occasion rose to 140. Bob Wildig took over organising the event in the 1980s and continued to 2010, using Rokeby Junior/Middle School as the venue and Rugby Chess Club players as arbiters. Many junior chess players went on from wins in the tournament to becoming members of the club and competing in its teams. You can spot the names of numerous past/preset Rugby Chess Club members on the tournament’s trophies. Over the past 10 years Rugby Chess Club has developed a Juniors club to encourage juniors to develop into match players and RCC members. These include current Rugby A team members James Kearney (one of the earliest Junior club members) and David Phillips. David along with Jude Shearsby from Napton are rising chess stars who also attend Coventry Chess Academy. Jude won the U8 UK Chess Challenge Terrafinal in 2018 and plays for Kenilworth in the Coventry and District Chess League. The pictures show junior club members taking part in the club qualifier rounds for this year’s UK Chess Challenge.